There’s a scene in The Breakfast Club where all the kids in detention decide to wile some of the time away by using a little bit of marijuana. The result of Judd, Molly, Emilio, Anthony and Ally smoking up? Energetic, giggly and doing backflips. In some parts of the world, this was felt to be a bit overkill – marijuana gets you sleepy, not doing backflips! This is probably because, when many people were watching the film a decade or so after it was released, many breeders were using indica-heavy genetics. Sativas had been forgotten, and the “electric” high the hippies of old talked about was thought to either be a bit of a myth or pretty much gone forever. In the 70s and 80s, however, sativas like Thai Stick were commonplace when it came to flowers. In fact, if people at that time wanted to have indica-like effects, they would have gone for hash mostly from the Afghan and Moroccan regions, where short, squat plants that many of the world’s indicas hail from grow. With the rush to save genetics, the medical marijuana community looking for varied effects for different conditions, and the fact that breeders knew the old-school hippies were still growing their own sativas, sativas can be found again. This is also thanks to the fact that marijuana is becoming legalized, meaning that people won’t try to hide their crop as much as they might have in the past. Here are six of the best sativa strains, in no particular order. SSH, from Kind Green Buds. Yes, it could be seen as a bit of a cheat to put two strains in one bracket, but there’s a good reason for it. Both share a ratio of approximately 50% Original Haze, 25% Skunk and 25% Northern Lights. The mother is from two different phenotypes of the same Original Haze strain, though, and the differences are as noticeable as the similarities. Mango Haze is more sativa-leaning, whilst SSH is more arguably balanced between the sativa and indica. SSH is perhaps the more well-known of the two strains, possibly because it’s slightly more forgiving to grow indoors and is the backbone of many other excellent strains like Super Lemon Haze as well as being a multiple cup winner. Both strains, however, provide an energetic, uplifted and extremely euphoric high. The indica undertone is perhaps a bit more present in the SSH, and Mango Haze has more of a cerebral high. Both SSH and Mango Haze are great for cramps, pain, depression and inflammation. Also, there is a CBD Mango Haze by CBD Crew Seeds, which reports tell us has a similar upbeat effect as Mango Haze but with less of the psychoactive effects of the original. This possibly makes it a better choice for anxiety than the original. Whether this strain goes in the “hybrid” or “sativa” section is arguable, but it’s such a good strain that it ought to go in at least one. We’re putting it here as the sativa-leaning phenotypes are dominant, although there are lots of indica-leaning phenotypes as well. There is perhaps no other strain that is as popular, and it’s not hard to see why: a mixture of prize-winning Blueberry and SSH genetics; approachable for novices; appreciated by connoisseurs; relatively easy to grow; and can be used for a wide number of conditions. Oh, and then there’s the blueberry taste, which can be a bit spicy at times if it’s leaning to the SSH side of things. Blue Dream has a broad cannabinoid and terpene profile, including high THC and a moderate amount of CBD, myrcene, pinene, CBC and CBG, and small amounts of CBN, linalool and caryophyllene. This makes Blue Dream a great strain for stress, pain, depression, anxiety, headaches and fatigue. This is a legendary strain created by the Haze Brothers of California, brought to Amsterdam by Sam the Skunkman and then backcrossed and stabilized by Nevil using Northern Lights. The O. Haze is a combination of the best sativas from Mexico, Colombia, Thailand and India, making it one of the “purest” sativas out there at the moment. This is the sort of pot people think of when imagining the “trippy” strains of the 60s and 70s. O. Haze is low in CBD, but is usually packed with THC, pinene, THCV, limonene and lots more besides. This makes it great for pain, muscle spasms, depression and headaches. Careful, though, as Haze is not recommended for those who are prone to paranoia. Another strain that could be included on a list of hybrids. However, the sativa side definitely dominates with Strawberry Cough, especially considering its happy, energetic, uplifting high. This sativa is great for anxiety, fatigue and stress, and may even be of help to asthmatics. Very much a daytime medicine. Strawberry Cough has a balanced cannabinoid profile and mellow yet expansive high, thanks mostly to its balanced indica-sativa makeup. As for the precise genetics, they are unknown, although Erdbeer (a strawberry-tasting clone-only strain from Switzerland) is the most likely contender. There may also be something from an Afghani heritage in this strain’s genetics, as well as other indicas and sativas of unknown origin. Lamb’s Breath is thought to be Bob Marley’s favourite strain. Looking at the cannabinoid profile – including THC, CBD, CBN, linalool, CBG, myrcene, THCV, pinene, CBC, limonene, CBL and caryophyllene – it’s not hard to see why. Lamb’s Breath is reported as being an excellent strain for PTSD, anxiety and depression. The effect is usually happy, energetic and creative, although there is some body to it, which makes sense when looking at the cannabinoid and terpene profile. This makes Lamb’s Breath potentially great for early evenings. A landrace strain with a woody, earthy, flowery taste that produces some of the world’s best hash. This is an unusual sativa in that, although having giggly, uplifting and euphoric effect, can have a somewhat indica-ish feel. This perhaps adds to the ability to focus on this strain, which can be a problem when it comes to “racier” sativas. 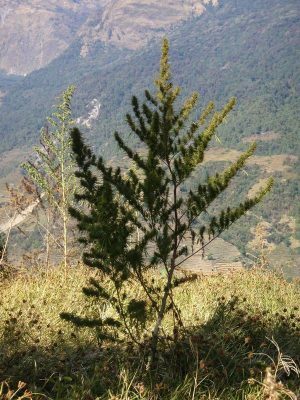 Nepali is one of the original “old-school” strains, and is prized by experts everywhere. However, the effect of this strain makes it approachable for beginners as well, due to the fact that it isn’t as overwhelming as many other strains. This is an excellent strain for pain, stress, depression, nausea and fatigue, and is generally a good “all round” sativa. Six other sativas of note: Jack Herer; Willie Nelson; Durban Poison; Acapulco Gold aka Mexican Sativa; Original Thai; Kali Mist. Picking the sativas for this selection was quite difficult as there are so many landrace varieties, many of which would merit a mention on this list. Plus, many of today’s strains come from these landrace sativas (even some indica ones! ), that it is almost impossible to make a qualitative statement about which one is best. People tend to be proud of their own country’s sativas, and there could be a good reason for this: landrace sativas grow best in their environment of origin, meaning that the plant gets to express its genetics to their fullest. Unfortunately, sativas can be difficult to grow, and some sativa strains do not translate well to growing in environments and mediums alien to its place of origin. 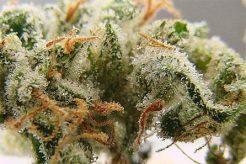 Should you decide to grow a sativa, it is usually best to pick one that has been acclimatized to the environment, stabilized by a breeder or is hybridized with another strain to improve its vigor. Feel your favorite sativa is missing from the above? Then tell us about it in the comments below!